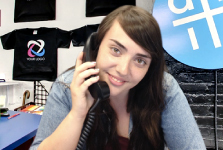 We provide friendly advice and no-obligation price quotes.Contact uswith any questions. Embroidery is a stylish way to decorate any garment or patch with machine needlework. 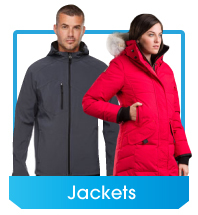 Send us your design and our expert team will embroider it onto your garments. 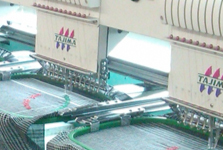 Pricing is based on the number of stitches that our machine needs to make, the quantity of items being embroidered and the location of the embroidery. Embroidery products on artik.com include a small embroidery in the price (up to 10,000 stitches). Send us your art to estimate your stitch count. What are the embroidery minimums? How does the Embroidery process work? Send us your art file and contact us with any questions. We'll reply with a price quote in a friendly no-obligation email. 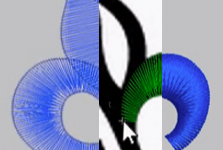 Many fonts are available. Shown below are a few samples of fonts we carry. Make sure your design does not have small sized texts. Embroidered fonts should be at least 5mm or 1/4" tall. Embroidery prices are based on stitch-count (larger and more complex designs will cost more). Embroidery products on artik.com include a small embroidery in the price (up to 10,000 stitches). The best way to find out your cost is to contact us for a price quote. 20. Toronto local Mechanics and Workshops visit Artik for custom worker shirts. 19. Mattress shops and GTA Hotels have come to us for custom embroidered pillows. 18. Hunters and Gun Clubs from across Ontario order custom camouflage hats to stay stealthy. 17. 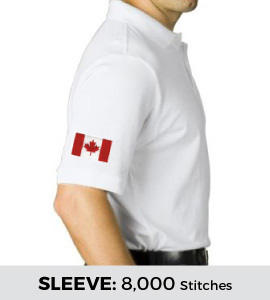 Ontario Golf Courses and Country Clubs order embroidered golf shirts for members and golfers. 16. 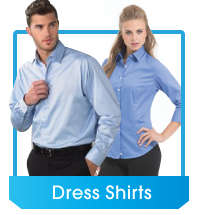 High end stores order embroidered dress shirts for resale and as staff uniforms. 14. We've embroidered nurse scrubs and doctor coats for healthcare workers in hospitals. 12. Universities have come in to pick up branded lab coats for their researchers and mad scientists. 11. 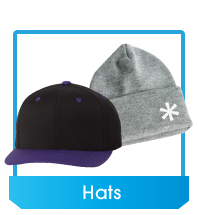 Some stores order embroidered winter hats for resale during the long Toronto winter. 10. Hotels love to get custom branded towels and embroidered bath robes for guests. 9. Some musicians order embroidered band hats to sell at shows and festivals. 7. 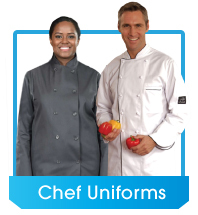 Restaurants often order embroidered chef jackets for their kitchen staff. 6. 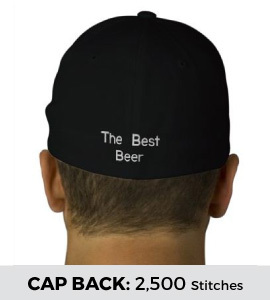 Baseball teams looking for embroidered baseball caps for their uniform. 5. Festivals often order embroidered sweatshirts to show who is STAFF. 4. 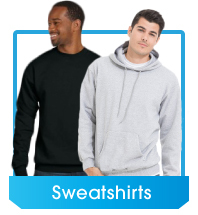 Charity events frequently ask for custom embroidered hoodies for fundraising. 3. Sports teams often want embroidered jerseys for their next game (Hockey, Football, Baseball and more!). 2. 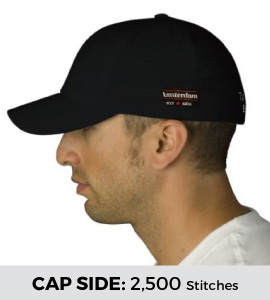 Many businesses order embroidered hats for staff to wear. 1. 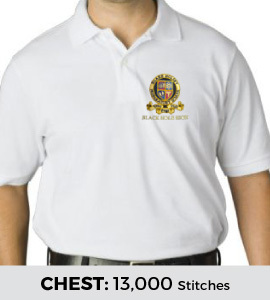 Toronto businesses ordering embroidered polo shirts for their next tradeshow. Whoever you are, Artik can help digitize your design and embroider it onto garments of your choice. The embroidery process is very ancient, but with our modern machines we can embroider complex amazing embroidered garments very quickly. Contact us for a quote! We're friendly and will give you the information you need right away. Below are a few examples of Artik's embroidery. 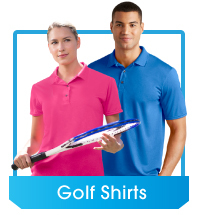 We can embroider a variety of designs and in many different styles. In our thirty plus years of embroidery, we've made some mistakes! Over the years, we've fine tuned our machines and trained our staff and created some truly beautiful custom embroidery work. Today, our customers come back to Artik and recommend us to their friends. 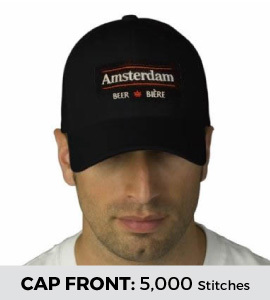 If you've got a challenging embroidery, or an important event coming up, don't trust the new kids on the block, come to Toronto's trusted embroidery supplier! The starting point for your embroidery project is your art file - whether it's a simple design for an embroidered baseball cap or a complex art piece for an large embroidered, your art file is the guide that will lead our needlework. At Artik, our friendly sales representatives and experienced graphic designers will ensure your art is ready to be embroidered. When you're ordering custom embroidered goods, the cost doesn't need to be sky high! Speak to our friendly staff for tips on lowering the price of your embroidery project, whole keeping the high quality embroidered look.